From an ADA school transport bus to a finished RV. We have just purchased our short bus and hope to guide you through the process as we discover the ins and outs of a short bus conversion. So far it has taken a LOT of planning. A LOT of measurements. A LOT of paperwork. I think we have finally gotten it down enough to proceed. Our adventure first started in April ’18 on our way to OKC for an art festival. I am an artist and Don is a photographer. We kept driving past little towns with very interesting landscapes, ruined houses, etc. We were going to get pics on the way back because we had a deadline of getting to the Festival. After talking (nothing else to do when driving) we decided that we needed an RV so we could go from town to town with our jeep in tow, and just spend a few days here and there looking around and snapping pics without having to spend all that money on a motel. On the way back home, the wind was so bad that we decided that a huge motorhome was not the way to go. We started thinking about popup campers with a new truck, or a uhaul. When we were ½ mile from home, there was a short bus in front of us…. why was he on the road at night? We noticed there was a house a/c in the back window and he had a motorcycle on his bumper. We looked at each other and said Wow,that’s an RV! We were hooked from that moment on………and so goes our tale. 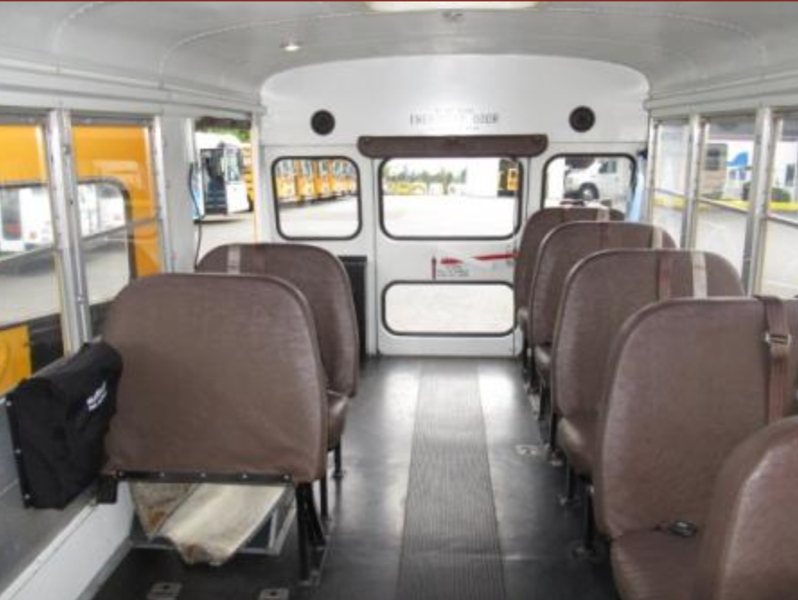 After much searching for the ‘right’ bus online, we found a nice one at Northwest Bus Sales in Federal Way near Seattle, WA. We discussed the pros and cons of this bus compared to others and where the others were located (mostly NY and NJ) and we decided this was going to be the bus for us. It took us 4 days of driving to and from the dealership (1,200 miles each way), but it was worth it to us. Made a stop at the Oregon Trail to see the pioneers' wagon ruts. One of our trips later will be to see most of the rest of it.